Keep your hands warm this fall and winter with these stylish, cozy and so easy to crochet faux cable fingerless gloves! Do you wish that cables were not so complicated? Then this pattern is for you! Adeline Fingerless Mitts with Faux Cables by CrochetDreamz features faux cables which cleverly constructed using chain stitches. Interesting, isn’t it? 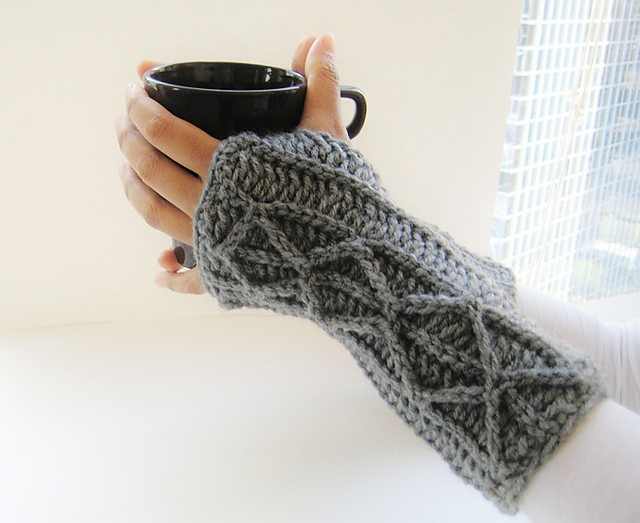 You can whip these up in a couple of hours and keep your hands warm while driving or while working in an air conditioned office. 1. Worsted weight size 4 medium yarn. 2. Hook H (5 mm). 3. Sewing needle to weave in the tails. 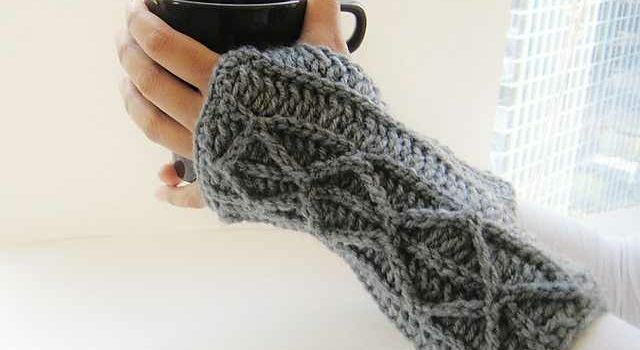 I’ll be adding these gloves to my crochet to do list. Thanks for sharing! Those are adorable, but I don’t know that I would actually use them. I keep seeing them being made but no one using them. Mary Elizabeth Johnson I’m cold at work. They are trying to kill me, I just know it. Lena Sawyer they are not trying to kill you – it’s not plotting yet, you have to be there 2 years for that!!! But maybe you should consider a shrug or a throw for your desk.